You are here: Home Health Tips How can I make my family healthier and more active? Comments Off on How can I make my family healthier and more active? How can I make my family healthier and more active? Our experts advise readers on how to make their family more active, as well as eating more healthy food. Q I would like to improve our familyâ€™s general health. Iâ€™m particularly conscious that our children are more sedentary and eat more convenience food than they should. By stocking your kitchen with staples such as dried pasta, rice, frozen vegetables, canned beans etc and finding a few recipes that use basic ingredients, you can create healthy meals in little time. Grill fish and meat, and use a steamer or microwave to cook rice or vegetables quickly. Couscous, bulgar wheat and quinoa are quick and easy accompaniments. There are so many time-saving ingredients including pre-prepared salads and vegetables, pre-cooked meats and filled pastas that are just as quick to prepare as convenience meals. Stir-fries, in particular, are healthy as the nutrients are preserved and very little oil is needed. Make extra portions to provide ready-made meals for busy evenings. Children should aim to participate in 60 minutes of physical activity every day such as walking, swimming, dancing, cycling, active play or other sports. This can be spread over the course of a day. Take the family out for a day of activities; encourage your children to participate in any PE lessons in school, enjoy active play with friends, and arrange for them to play sport outside school. The British Heart Foundation has a fun activity-based scheme called Artieâ€™s Olympics (www.bhf.org.uk/cbhf) for children aged 3-8. 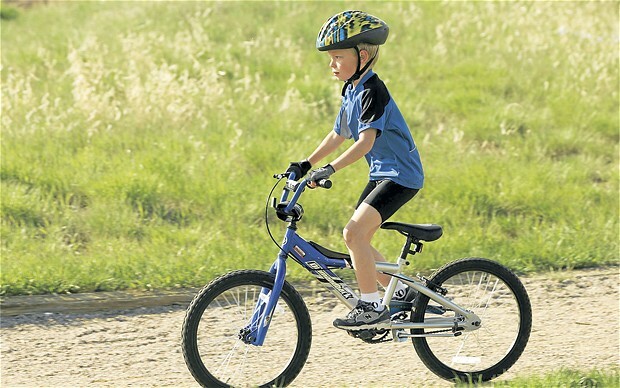 Bear in mind that if you have an active lifestyle it is a great stimulus for your children. Perhaps invite them to play frisbee or join you on walks. Making an activity fun such as teaching them to skip or hula hoop will keep them interested. The book Keeping Kids Fit: A Family Plan for Raising Active, Healthy Children is also worth a look. By health and PE teacher Len Saunders, it offers parents and educators good, straightforward advice on how to keep children active. All good things must come to an end â€“ after 25 years, and more than a million words, this will be my closing column for the good ship The Sunday Telegraph. It would seem appropriate to celebrate a few high points from the past, so as to illuminate matters of more general significance. First, modern medicine, as numerous readers have attested over the years, verges on the miraculous â€“ both in its effectiveness and its availability to all. The National Health Service, for all its faults, remains one of the great triumphs of Western civilisation. The flip side of that success is the tendency to overlook or underestimate the benefits of more traditional remedies â€“ a recurring theme of a host of fascinating contributions. Many will recall the splendid account of the Hebredian grandmother whose effective treatment for her arthritic joints was to strip off, whatever the weather, and roll naked in a bed of nettles. It has been intriguing, too, to learn of the rationale for some seemingly bizarre remedies. Thus a road engineer who spent time studying the damage inflicted by cowpats on tarmac roads, was able to offer his own insight into their mode of action for treating boils and carbuncles. Cowpats, he pointed out, adhere to the surface of tarmac, and as they shrink they pull a superficial layer from the surface of the road. It is thus easy to imagine how a drying cowpat applied to a boil might draw out the pus while providing an absorbent dressing. Further, the observations of readers as to how treatment for one condition can inadvertently have beneficial effects on unrelated symptoms has resulted in several important contributions to medical science. They include the value of aspirin as an effective remedy for benign nocturnal polyuria and the antifungal drug Terbinafine for the treatment of rosacea. And finally, a cautionary note. Doctors now write three times as many prescriptions as 25 years ago, and many readers have vividly illustrated from their own experience the hazards of such polypharmacy â€“ where it is now not unusual for those in their seventies and eighties to be taking half a dozen or more different types of medication daily. My sincerest thanks, then, to those 50,000-plus readers whose contributions have so enlivened this column over the years. Farewell.